I’ll like to post a version of an email I sent to my friends this weekend, sharing with them (and now with you) something I am very excited about: Having my story being featured in the book Dreamers. Some of you I have known for a long time, others I have met recently since my “transition” to Mexico. More than three years have passed since, but it seems and feels as if it was yesterday when I lived in my Los Angeles hometown. Today I was remembering my first week in Tijuana, in particular, the day I attempted to reconnect with my life in the U.S. I was on a mission to find a place with Internet access. After walking many blocks in downtown TJ, feeling disoriented, confused, and lost… there it was, a cyber café near Revolución Blvd. I reserved my spot, logged into a computer and my email account, and I started typing emails to all my friends to tell them about what had just happened – an abrupt deportation that had left me stranded in my native country I had not seen for almost 20 years. Thanks to technology, we have been able to keep in touch. Some with more frequency, others with an occasional email or a status update in the social media world. But regardless of whether communication is constant or not, all of you have a special place in my heart and thoughts. What has happened since? So much that I am not able to cover in one email but there is one thing I wanted to take the time to share with you. My experience of deportation is beginning to shift from being a personal tragedy to a story of the collective immigrant experience; a community in the U.S. that that continues to push and advocate for immigration reform. Instead of being one more statistic in the “Out-of-sight, Out-of-mind” list, I have the opportunity and responsibility to be a voice for so many that may lack the resources or support to be able to share their stories of struggle. Since I made my story public last year, I have been blessed to have many that are interested in listening and understanding the complexity and dysfunction of an immigration system that led to my forced removal. 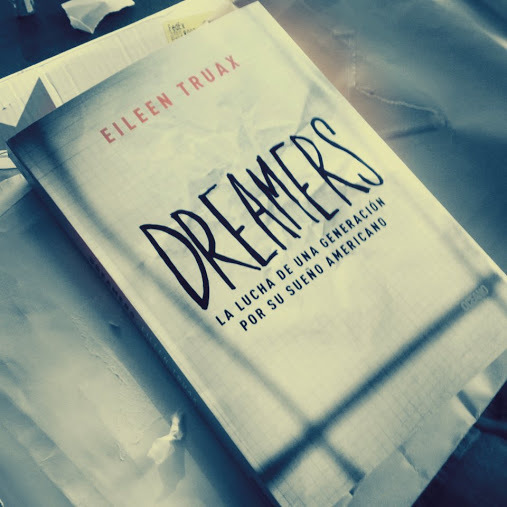 As a result, my experience will be shared to a wider audience as it is featured in the book Dreamers (Spanish Edition) by Mexican journalist Eileen Truax which will be available to the public this month, in the U.S. and Mexico. Dreamers is a book that helps us understand the state of U.S. immigration through the experiences and voices of young undocumented immigrants. I am humbled to be included among eight courageous Dreamers who have redefined what it is to be undocumented and have led a successful movement that we hope will translate into policy changes. Eileen Truax will be presenting the book at La Feria del Libro (Spanish Book Fair) Los Angeles at the LA Convention Center, next Saturday, May 18, 2013. Currently, the book is only in Spanish but with a successful launch, we hope that a translation will be made available so that our stories can be shared with the English speaking community. A border might prevent me from being there physically, but I will be there in spirit. I would love to hear from you if you happen to have an opportunity to attend. I conclude with a note of gratitude because it is very clear to me that without you, my story would have remained a tragic one. Whether it was in the form of a call/email of encouragement, shelter and food, a visit to Tijuana, a letter of recommendation, or sharing my story with others, it all made the difference in turning it into one that is now filled with renewed hopes and dreams. Thank you so much for this beautiful text. And thank you for sharing your story and for being an inspiration to many of us. At CSUN, I have heard people say, “oh, you know Nancy Landa right? She was our first Latina A.S. President.” You affect the minds of many young Latinos (and maybe non Latinos?) on a regular basis at CSUN. Just thought you should know. I will have to purchase a copy of this book sometime. 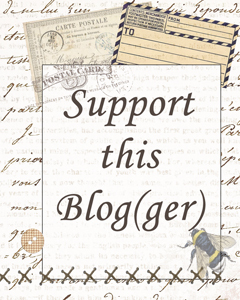 Yes, it is a must read! Even as a DREAMer myself, after reading all the stories portrayed, I was able to understand at a different level the development of the immigrant right’s movement through various perspectives. Happy to see CSUN Dreams to Be Heard featured as this generation of DREAMers has and will continue to do much more than their predecessors. Saludos.